Season of Giving - Sastra Dana! ~ The Toronto Hare Krishna Temple! Season of Giving - Sastra Dana! 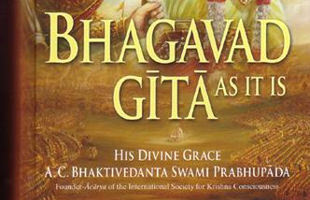 This year we have been successful in placing Bhagavad Gitas in over fifty prisons across Canada, over a hundred hotels and motels including the Park Inn by Radisson, Four Points by Sheraton, Homewood Suites by Hilton, and Courtyard by Marriott as well as replenishments for Hospitals. Yoga Centres and Libraries continue to be a focus. The success of this program is further evident by the requests that we get from organizations asking for more books or replenishments. We began this Sastra Dana program just a few short years ago in Toronto and in these years, we have placed over 60,000 books thanks to your support and blessings.